BOSTON (RNS) Brandeis University is accused of caving in to Muslim pressure after school officials reneged on awarding an honorary degree to Ayaan Hirsi Ali at its May 18 graduation. 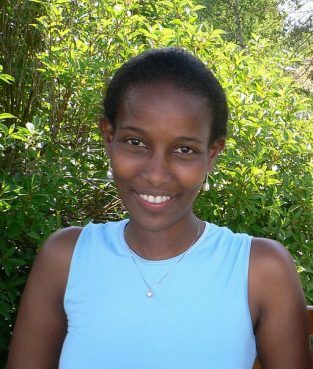 Brandeis University is accused of caving in to Muslim pressure after school officials reneged on awarding an honorary degree to Ayaan Hirsi Ali, pictured here in 2006, at its May 18 graduation. But many Muslim and Jewish leaders welcomed the decision by Brandeis, founded by Jewish leaders in 1948, calling it a victory against hate speech. “Her anti-Islamic rhetoric and toxic writing undercut any work she may have done calling attention to human rights abuses occurring among Muslim populations,” said Anas Coburn, managing director of the Sakinah Project, an anti-domestic violence group focused on Muslim communities. Amazing how freedom of speech can so easily be squelched by labeling something as “:hate speech” so that no one need analyze or think about the issues raised and how right or wrong the information is.. The dynamic in this case is never extended to Catholics. Hundreds of times I’ve heard or read grossly insulting things about Catholics or the Catholic Faith in the media. But when someone raises an objection they are told to stop complaining because the one doing the insulting grew up Catholic and thus his words are based on inside experience–just as Ali’s words are based on her experiences in Islam. She was never told to “stop complaining”. Get your facts straight. And yes this is hate speech, go look up some Hitler speeches and you’ll see. If that was hate speech, this is hate speech. Quit trying to create the Third Reich in the United States. This censorship is becoming a staple of those on the political left and those who fear an honest examination of Islam and how horribly women are treated in Somalia and other Islamic areas. A woman who had worked with Ali professionally was murdered by terrorists according to one mainstream news account. It takes immense courage to speak out critically– as Ali has- on issues involving Islam and women. But no one needs to fear possible physical violence from those defending Ali. And those throwing verbal bricks at her know this. Oh, please. “Hate speech” analogous to Hitler? I don’t even know where to begin. Wisdom says you can’t berate a fool. This is so beyond the pale of reasoned debate and this from an institution of “higher learning”. Shame on you! Will the latest Catholic Mass translation get another overhaul?